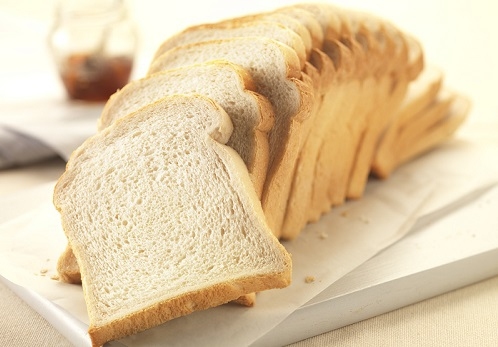 Do You Know White Bread Calories per Slice? If you are searching for "white bread calories per slice", I bet you are probably a white bread lover. That makes two of us. Bread, eggs, cheese and ham present endless combinations for simple but yummy breakfasts. Now let's read on and know the nutrition facts, especially calories in white bread per slice. The following chart not only tells you white bread calories per slice but also other nutrition facts of per slice white bread. Learn and make your meals more nutritional balanced. Since we have know the white bread calories per slice and its other nutrition facts, then let's learn how to store white bread to get the best flavor. Keep your white breads tightly closed in its original pack and store at room temperature. Store white breads in fridge will make them dry out and become stale. But freeze your breads can keep them fresh for a long time. However, in order to prevent freezer burn, you should use heavy-duty freezer bag to overwrap the bread's original package. Bread stored in pantry should be consumed in 5-7 days, while stored in freezer should be eaten within 3 months. When thawing frozen bread, you should remove the wraps, let it stand and thaw in room temperature.